Akbar T. Salaam is an entrepreneur, community organizer and owner of Unity Brand Halal Products, Inc. In 1968, Unity Beef Sausage Company, now known as Unity Brand Halal Products, Inc., started with a commitment to serving the millions of Muslims in this country and all Americans with halal beef, poultry, lamb and goat products. Unity Brand Halal Products also specializes in beef, chicken and turkey sausage- made with unique seasoning to give customers the southern sausage taste. 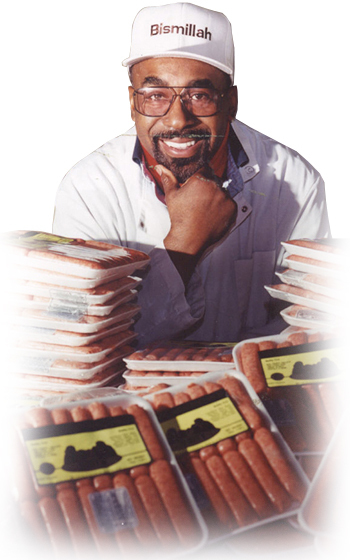 Not only did Brother Salaam establish a halal meat company to serve the community, but he also helped develop the “Manner and Condition” for slaughtering and processing halal meat and poultry in the state of New Jersey and USDA. His contribution led to the creation of the standard procedures for the halal industry throughout the country. Brother Salaam has used his business to serve as an engine for job creation. For over 15 years, he has partnered with Volunteers of America, which is an organization that provides transition support for ex-offenders. He assists ex-offenders and high school students by providing job training and mentoring to prepare them to become productive members of society. He has also become well-known as a sponsor of the annual New Africa Family Day Cookout, which feeds over 5,000 people in Newark, New Jersey. Akbar T. Salaam has been honored by Imam W. Deen Mohammed as “Businessman of the Year” for his extraordinary service. In fact, Brother Salaam was the first Muslim to cater the 1997 Islamic Convention in White Plains, New York. He has also been featured in The Star- Ledger New Jersey Newspaper. Furthermore, he has dedicated his time to many organizations, such as the New Jersey Muslim Business Association, Imams’ Council, Muslim Investment Group and League of Muslim Voters.